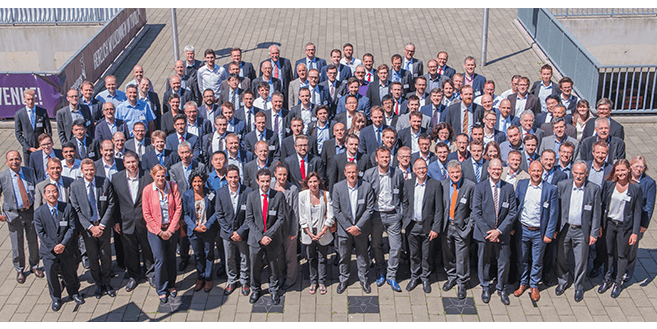 Last week, 150 representatives of the AZL Partner Network including 18 new companies, who joined since the beginning of the year, met in Aachen to discuss the activities of the last 12 months and to define future joint projects such as a market and technology study addressing the Buildings and Infrastructure lightweight market. Since its foundation, the AZL Network has grown steadily: Having started with 35 founding companies, the AZL today counts 70 AZL Partner Companies coming from 18 different countries, such as the USA, India, Japan, Korea, China, Mexico and several European countries, representing the complete lightweight value chain. Additionally, the complete AZL Network meets every year to define AZL´s strategy, pre-competitive Joint Partner Projects as well as new services for generating business and opening new markets. Furthermore, the AZL Partners agreed at the Annual Partner Meeting to follow-up two Joint Partner Projects on New Designs for Low-Cost and Energy-Efficient Double-Belt Presses for Continuous Composite Manufacturing and on a Material and Processing Benchmark of Thermoplastic Tapes. These had been completed successfully this year. At the Annual Partner Meeting, the AZL Partner Companies discussed not only research and development projects, but also decided to start into joint Business Development activities to enter new markets and regions. Get an overview on all AZL activities related to Buildings & Infrastructure here. Here you find some impressions of the Annual Partner Meeting.